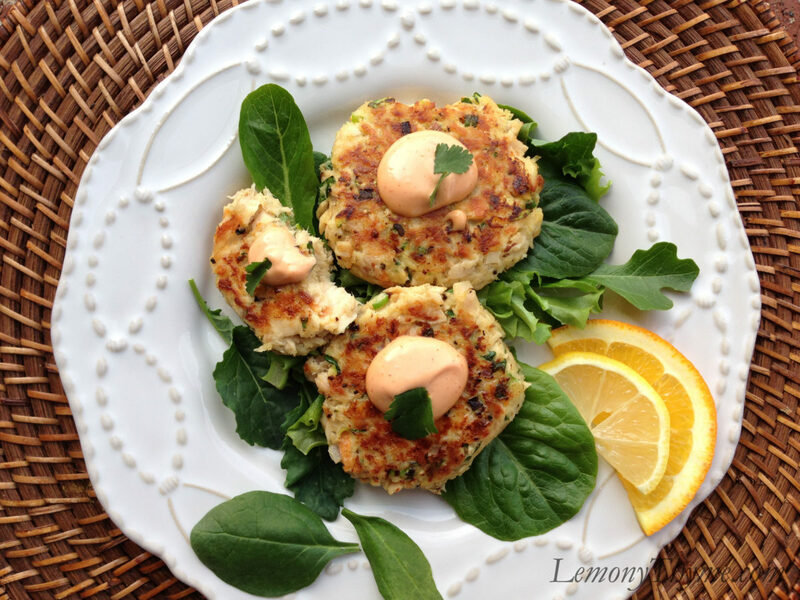 This Tuna Cakes with Summer Breeze Citrus Salad recipe was born out of the ingredients in our Fridge/Pantry. I’m beginning to think that’s my niche. I’m far more creative and pay closer attention to flavors & seasoning when I’m not working from a recipe. And when I get the chance to sleep in, or at least ‘lounge in’ for the first time in two weeks….I’m not going to the grocery store. 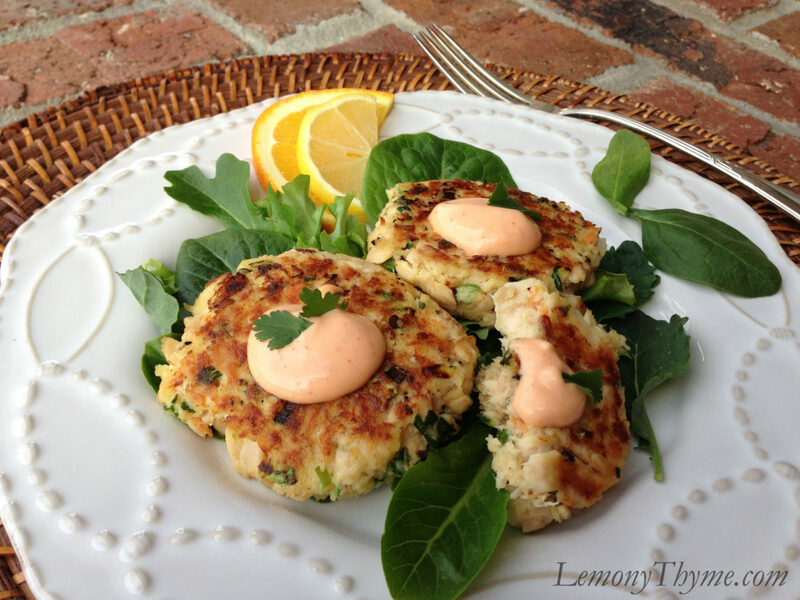 What started as a can of tuna evolved into these deliciously fresh Tuna Cakes, full of bright flavors. Served on a bed of baby greens with a drizzle of olive oil, sprinkle of sea salt & freshly cracked pepper, a squeeze of fresh citrus juice, and a dollop of sriracha mayo. Oh how I can taste you warm Summer Breeze. 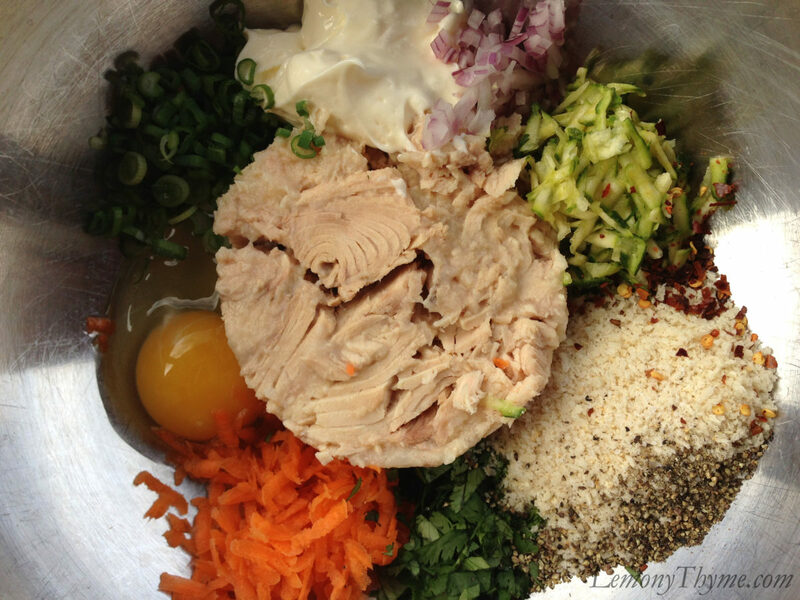 Combine all tuna cake ingredients in medium bowl and blend together using a fork. Make a small test cake and pan fry on both sides over medium heat until golden brown. Taste, and adjust seasoning accordingly. Continue to make 6 larger equal size cakes. Pan fry on both sides over medium heat until golden brown. Combine all ingredients. Refrigerate any unused portion. 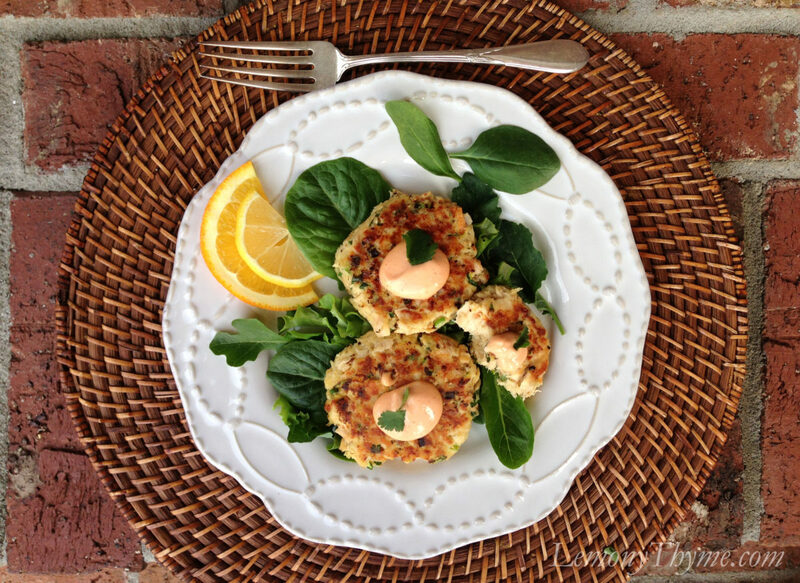 Place a cup of baby greens on a plate, top with 3 tuna cakes. 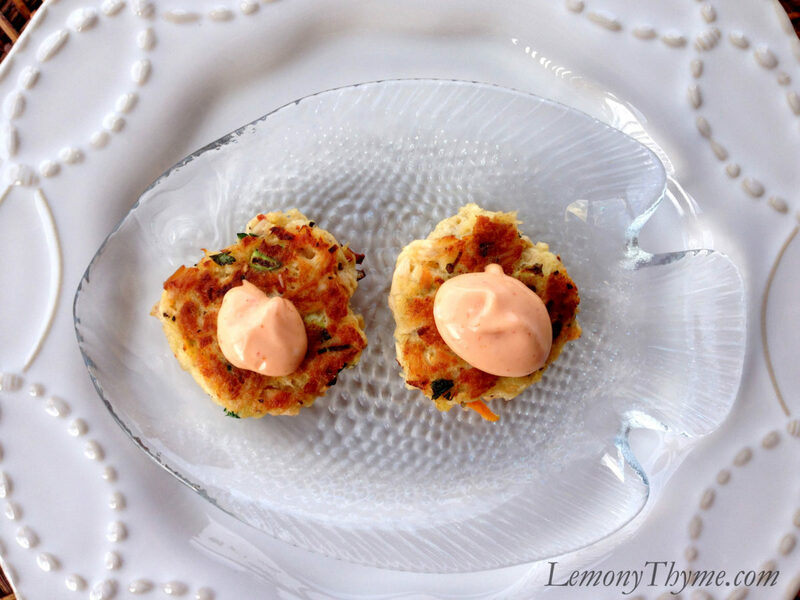 Drizzle with olive oil, sprinkle with sea salt & freshly cracked pepper, squeeze on fresh citrus juice, and dollop with sriracha mayo. 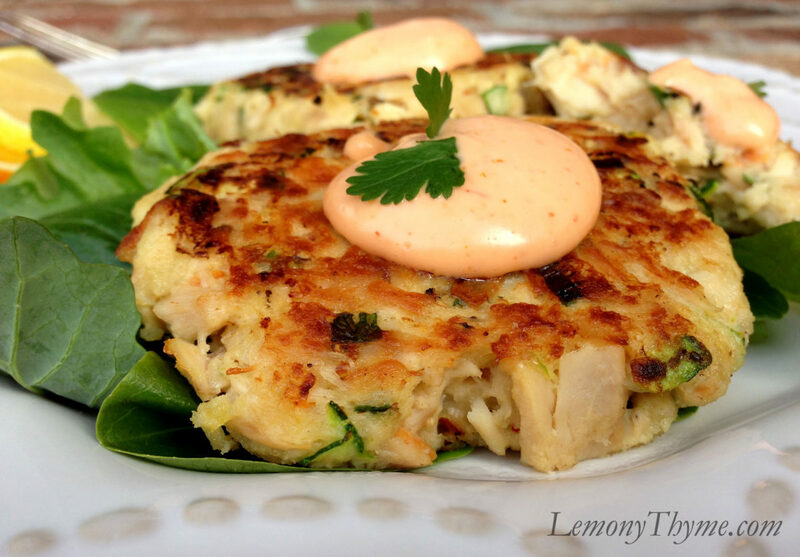 The beauty of these tuna cakes is you can substitute according to ingredients in your pantry or fridge. It's your chance to get happy.